1. How to put the battery into the DBK smart scale? Please open the battery compartment, as shown in the figure, put the battery according to the anode and cathode. 2. What should I pay attention to when using body fat scale? (1)Q: What circumstances will affect the measurement? (2)Q: Which groups of people try to avoid measurement? current passing through the body when standing on body fat scale. So not recommended. 3. What is the equipment requirements for DBK smart weight scale? Bluetooth 4.2 version, support most android and ios system mobile phone. 4. How to accurately detect muscle, water, visceral fat, basal consumption and bone mass? 3) When the body weight number is stable, the body composition will be tested. water and other human health parameters. 6. How to add family memble? Note: only 8 members in an accounter. 7. How to set the target weight in the DBK smart weight scale? Open okok APP-> click “Me” -> select the “my target weight”, click the edit -> edit the weight -> done. Open okok APP -> click the trend icon -> check the data on the interface. 9. What’s the difference between weight scale and body fat scale? and has not any other functions. 10. Why the test report of body fat curve is different? still great difference, suggest reboot the scale and measure on the flat and hard ground. 11. Is it hard to clean the surface? 12. Why does the DBK smart weight scale always warns the binding fails? 1) If the binding fails, please stand on the scale and pair the scale. 2) Reboot the phone Bluetooth and rebind the scale. 3) Reboot the phone and rebind the scale. 4) Please check the power of scale, it’s hard to bind the scale in the low power. 13. How to unlink DBK smart weight scale with device? Open okok APP -> Click “Device” interface -> select “paired scale” -> click “unpair” -> select “ok” -> unpair done. 14. What are the Main Effective Factors? (1) before and after diet; (2) error of test time; (3) before and after sports; (4) ground factor; (5) standing posture. 15. How to wake up DBK smart weight scale? First install the battery and stand on the device, then the device open; the device auto shutdown after get down. 16. 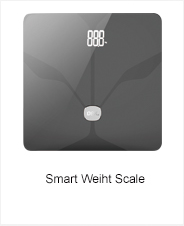 Does the DBK smart weight scale need to be charged?How long will it last? usage conditions of each person, the standby time will be different. 17. Why the measurement date is different in the different ground? on the flat and hard ground. IF no in the necessary condition, the result is different. 18. How to share my body fat data? 19. Why the test data of body fat have been failing? step on the metal sheet with your bare feet. through a fat and blink twice after test finished). 1. Which mobile operating systems does the software support? Bluetooth 4.0 ver, support above android 4.3 ver and ios 10 ver. 2. What if the system upgrade fails? 3. How long can the smart pen write? 4. How many contents can be stored in the Upen? 5. How long does the upen charge? At DC 5V/300mA, Charge about 2 hours can be filled, after the completion of charging indicator turns green. 6. What if the pen cannot be turned off normally and the pen lamp keeps flashing? 7. Is it allow to upload date when the pen can’t be turn off and the pen lamp keeps flashing? It is not allow, in this case, uploading data is easy to be lost. 8. What if the the handwriting and strokes are not complete after the writing submission? Check the situations: 1)Is the writing too light? 2) Whether writing in the soft place? If the above situation is excluded, please contact customer service. 9. How to fix the problem that script series and write nothing after writing submit? stroke, try again after changing the pen wick. If not, please contact the customer service. use method, please call the customer. 11. Can the pen be written on charge or bluetooth connection? No, no data can be collected if written on charging or bluetooth connecting. 12. What should I do when I submit the content with no data after writing? 5) Whether it is written in the stitched position of the book, and the writing area is not flattened. 13. How does the smartphone connect to the smart pen? select UPEN - matching success. 14. What if the pen doesnt connect to the APP? the bluetooth pairing and rematch the smart pen. 15. 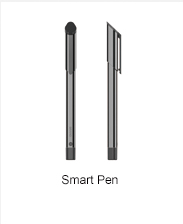 What if I fail to submit my answers after writing in a smart pen? reconnect the pen and upload again. 16. What is the process of App data synchronization? 17. What should I do when the cellphone synced data successfully, but the upload failed? 1) Turn off the wifi and replace it with 3G or 4G traffic for uploading. You can try it several times. 3) Avoid the peak of network usage and upload in the off-peak. 18. Can I still upload data on a new phone after the App syncs the data? there is no data in the pen. 19. Why countless date in the pen after bluetooth connection? Try to disconnect the bluetooth and reconnect it. If there is no data in the pen, the data is not collected in the pen. 20. What should we do if I can’t regonize which pen is using when the App is uploaded? Please contact the customer service to help solve this problem. 21. Why submission record is visiable , but the upload failed? The network has timed out, but the data has been uploaded successfully.